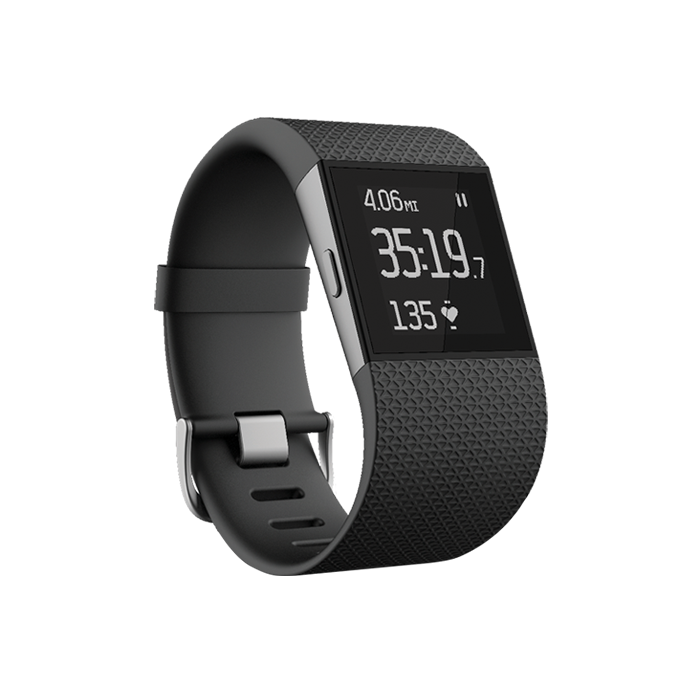 courtney.gardner gave the Fitbit Surge a 4-star rating. Do I love the Fitbit Surge? Yes, I do. But it wasn’t love right out of the box ... As a longtime Fitbit user, I was really excited to see them step up and offer more in-depth activity tracking. Sure, the watch face is a little bigger than other models, but it’s easy to read, the buttons don’t push themselves, and it has a nice, sporty feel to it. The Surge offers so much information in its 1 ¼ inch X 1 ¼ inch square. The best part of my runs now is when I get to wave the flag when I am finished. From there, it literally offers all of the information I’m interested in. Time, mileage, average beats per minute, average pace, calories, steps, and elevation gain. Just a warning: part of my love story with the Surge is that the estimated calorie burn appears to be rather generous. I love the Surge a little less during yoga because, quite honestly, it goes from a sleek interface to one clunky gadget while I’m trying to fold myself into shapes even a bath towel wouldn’t tolerate. But I’m not so sure I’d be comfortable wearing any watch during yoga. This toy boasts all the great features of any smart device, all while being intuitive and user friendly. I decided not to receive any smartphone notifications (less to run away from), but when I got them on the app, notifications soon became the problem. It’s a thing: you’ll get friend requests from your other Fitbit wearing friends. This bodes well if you are the competitive type. However, I’m quick to ignore the requests so I can get my 10,000 steps in peace, instead of having to adjust my life goals to include having to destroy Ted-from-Accounting’s step record. Perhaps that’s your cup of tea, and you’ll be playing on the app all day long. Go for it, it works just fine. Beyond activity tracking and software, I can also share that the battery is reliable and long-lasting. This is what I value most in a battery! The Surge doesn’t have any surprise untimely deaths. I charge it about every five days. Getting too close to seven days without a charge would be too plain dangerous for my taste. The app’s interface also contains lots of activities, reliable alarms, easy-to-access daily stats, and a timer that actually only comes in handy while I’m cooking. I have all my bases covered in terms of tracking needs, and its design is both generous and durable! This is much appreciated as 90% of my runs involve unexpected thuds, bonks, and brushes with death. I cannot promise it will survive a steamroller, but after tripping over myself for the last month, I am delighted by its resilience. The love story continues to unfold, save the occasional quarrel, but I’m convinced the Surge is a force to be reckoned with. But then again, with all of my newfound data, so am I.